Phenylpiracetam is a modified version of Piracetam, the original nootropic compound. With the addition of the Phenyl group, Phenylpiracetam is 10 times more powerful, and kicks in much faster. This allows even small amounts to provide a mighty, medium-duration boost to cognition and productivity. The typical phenylpiracetam dose is 100-200mg a dose, taken three times a day. Because of the potency of the nootropic it’s recommended that you start with a smaller dose and work your way up as you need to. Because your body can quickly build up a tolerance to phenylpiracetam it’s also recommended that you either cycle the supplement or only take it when you need it, rather than on a daily basis. Sleep Deprivation – Phenylpiracetam has the same kind of effects as regular piracetam but enhanced. As such it is great for people with sleep disorders such as insomnia. If you have trouble sleeping then you also have trouble making it through the day and it can cause a lot of problems. Because phenylpiracetam provides you with a boost of energy it gives you the physical and mental energy you need to get through the day and function properly. Just be careful to avoid taking it too late or it could make it even harder for you to get to sleep at night. Learning – Phenylpiracetam is enjoyed by students because of how much it can enhance the learning process. It is a cognitive booster which means it makes it easier for you to focus on your studies and improves memory and retention. It makes it easier for you to learn things and then recall what you have learned in the future. It improves your motivation and your mood so you feel better about studying; making it more effective. Because it reduces stress it also makes it easier for you to study in a pressure situation such as when preparing for a big test. Physical Performance – As well as being enjoyed by students phenylpiracetam is a perennial favorite of athletes and bodybuilders. It prevents stress from damaging your body which is great for athletes because it improves stamina and endurance and helps you recover after a tough workout. One strange effect of this stress tolerance is higher tolerance to cold. The energy that phenylpiracetam provides is similar to that of an amphetamine. 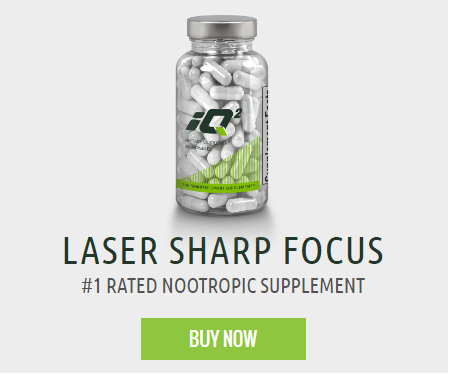 In gives you clean and focused energy without the jitters that you get from caffeine. There isn’t even a crash like you would get with caffeine. Because of this athletes are warned that the supplement has been banned by the World Anti-Doping Agency. There is one stack in particular for phenylpiracetam that is great for students and athletes alike. Take 4800mg of Piracetam with 300mg of Alpha GPC, and one dose each of fish oil and a multivitamin on a daily basis. Then, when you have a big workout or a test coming up take 100mg of phenylpiracetam and 200mg of sulbutiamine. This stack is great for motivation, energy, focus, stamina, and mood.